Now Offering Portable Toilet Rentals! let G & W be your first call! At G & W Pumping Service, LLC, our customers always come first. We have more than 20 years of septic pumping experience and take pride in being rapid and reliable when it comes time to service your system. When you’re looking for a job well done, backed by friendly, professionals you can trust, our team is just a phone call away. Proper maintenance of your septic tank is crucial. Not pumping enough or pumping too much can have serious effects on the rest of the system and major implications for your wallet. That’s why G & W Pumping Service, LLC takes it upon ourselves to always provide our customers with tailored septic tank pumping in Coryell County, TX. We get to know your tank and its needs, so we can make sure we’re always delivering superior-level service to customers. From scheduled pumping and cleaning, to minor repairs and emergency service calls, your septic tank is in good hands when we’re on the job. We are open seven days a week by appointment, to attend to all of your septic system needs in a timely manner. Our business is pleased to be a member of the Gatesville Chamber of Commerce. Established in 1996, our business is proud to be locally-owned and family-operated, serving the local Coryell County, TX area. Talk to us about a free consultation for your septic tank, to learn more about its service needs and maintenance schedule! We offer military service discounts, to show our appreciation for the men and women serving in the armed forces. 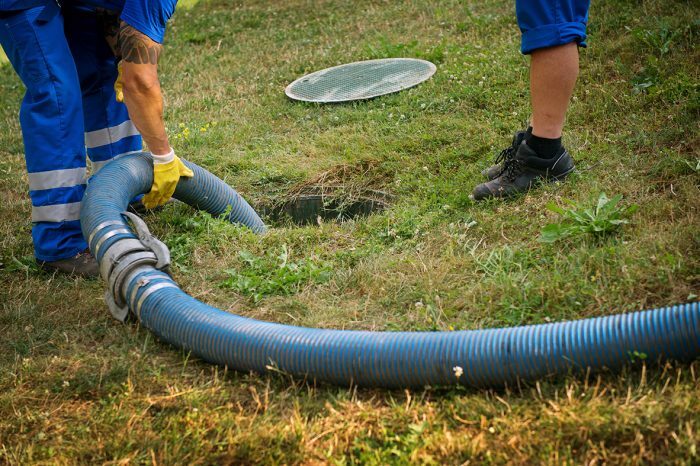 If your septic system is giving you trouble or the time has come due for maintenance, waste no time in contacting our expert team. We’ll provide you with an upfront quote and reliable service!